← News from Detroit? Not so much (for a little while)…. Whether you’re looking for a fun weekend downstate, planning your summer backpacking adventure, or looking for something to do inside this winter, we have a wide range of outdoor themed activity books in the GV call number section on the third floor of the Library. We offer tips and tricks to almost any activity you can think of including magic, basketball, jogging, and you guessed it, hiking! This hiking guide offers a wide variety of hikes in the lower peninsula. From Cat Head Bay to Mt. Randel Trail, this comprehensive guide will get you to a beautiful remote location in no time. With distances ranging from 1.5 To 35 miles, there’s something for everyone. So whether if you’re looking for a down state adventure, this is the book for you! When hiking isn’t an option, why not try mastering the indoor rock wall at the PEIF. This book can help you look like a pro in no time. Gym Climbing is a guide to everything you need to know to climb your best at any indoor climbing wall. From what to look for in an optimal climbing gym, to how the equipment works, this book will help improve your climbing skills all winter long. Planning next summer? Want to go on an adventure? 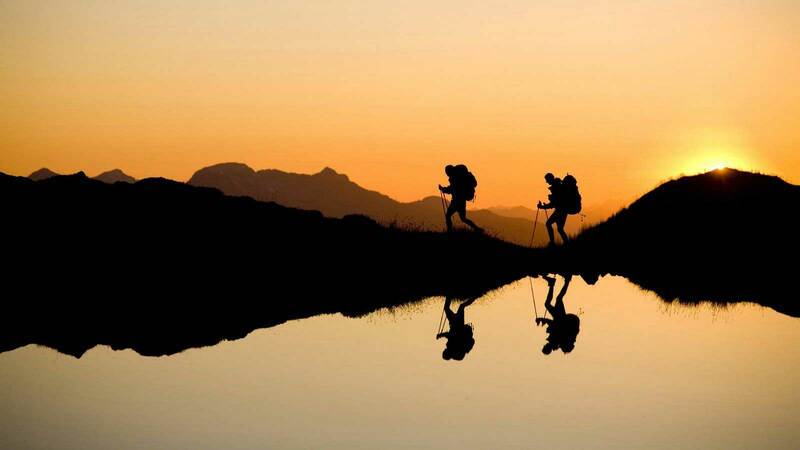 We offer a large selection of books on backpacking. The Backpackers Handbook provides you with everything you need to know before heading off into the wild. Grab your tent and put your pack on, this book offers how to live off the land at any skill level. From food preparation to where to set up camp, this guide is for any skill level. For all your adventure needs, head on down to the library to mark your trail and learn about the sport!